How can SMEs apply new technologies in their production process and what means the squishy term of Industry 4.0 in reality? 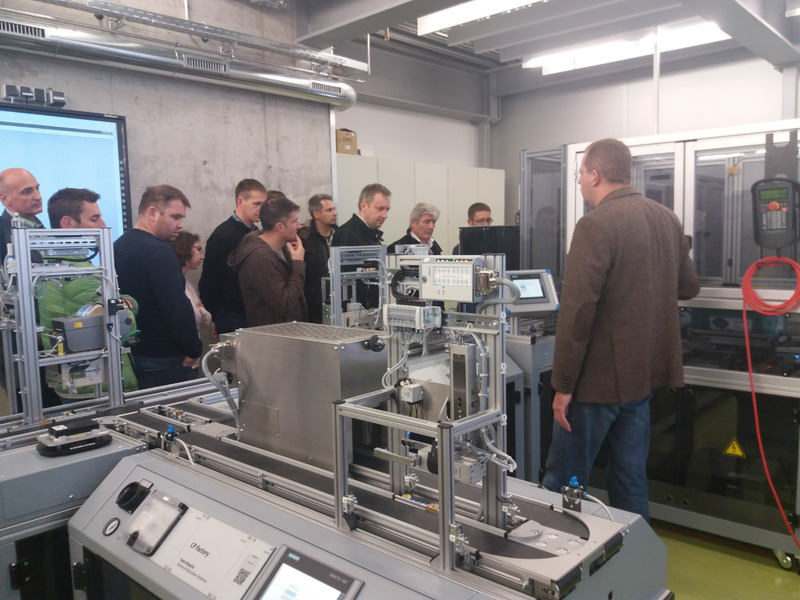 To answer these questions, a business delegation led by the Slovenian Wood Industry Cluster visited locations in and around Karlsruhe where digitalization and industry 4.0 have been implemented already. At LB Möbelbau, a small innovative carpentry, the guests were introduced to the modern CAD system which allows to produce highly complex 3D workpieces. The visit at the Lernfabrik 4.0 also aroused great interest. At this demonstration center, the delegation could learn how RFID technology can help to automate a whole production processes. RFID technology is also an important part of the E-kanban system invented by the Agimero GmbH. This system facilitates ordering processes with an intuitive stick-in process. Additionally to the company visits, the DIZ | Digital Innovation Center introduced the participants to the German policies and framework conditions in the field of digitaliziation.